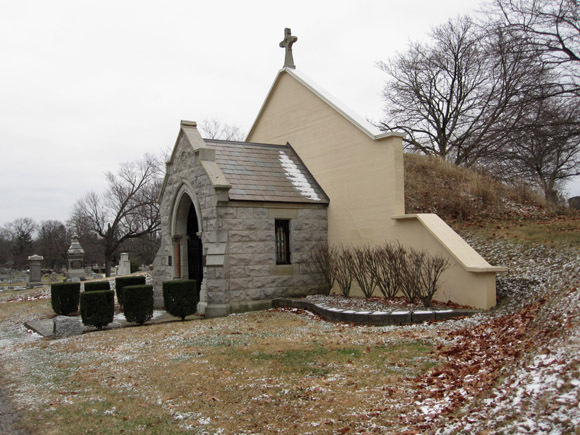 Located near the center of the cemetery, the receiving vault was built to protect the freshly dead (from the elements and, more importantly, from grave robbers) until their graves could be prepared. It has also, historically, been the site of some strange activity—activity that, some would argue, continues even now. The first odd incidents began after guards were stationed there to keep watch over President and Mrs. Harding’s bodies as they were being interred there while the Harding Memorial was under construction. Seventy-seven years later, the now-defunct local ghost hunting group Eerie Paranormal gathered evidence of a decidedly spooky nature. To get the rest of the story, pick up a copy of Haunted Marion, Ohio!